Interested in learning more about CBD Pain Freeze? Well, you found the right page! CBD, otherwise known as cannabidiol, has a wide range of beneficial uses. You can read about the benefits HERE (Link Benefits of CBD Pain Freeze). CBD is a non-psychoactive cannabinoid and has different methods of ingestion. 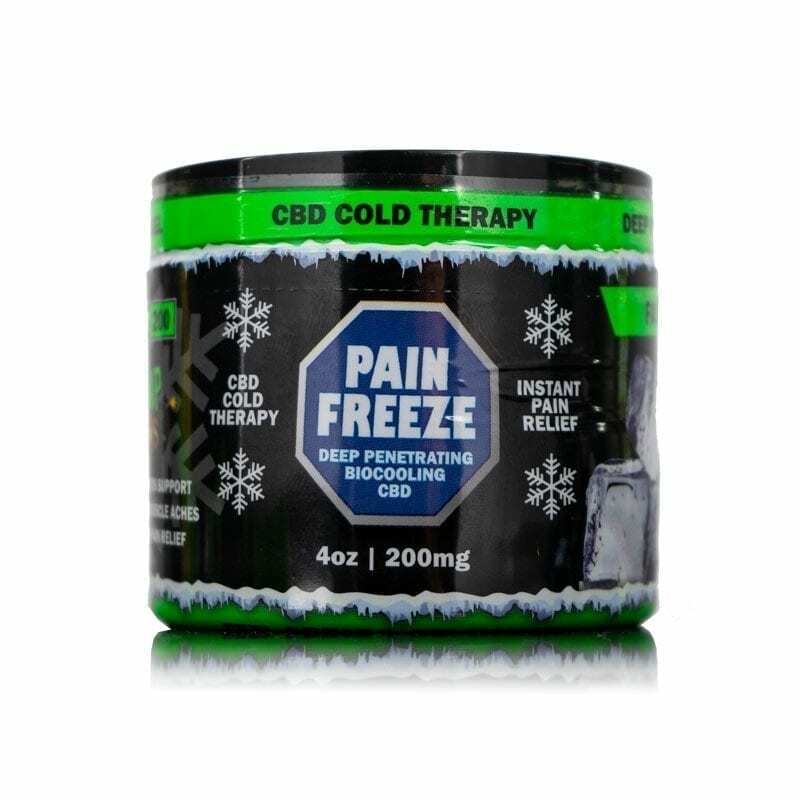 There is a wide variety of products containing CBD for pain relief, but one of the most popular CBD products among our customers is our CBD Pain Freeze. Our CBD Pain Freeze has a triple-medicating bio-coolant to provide relief for individuals suffering from joint and arthritis pain, muscle aches, and back and knee pain. Our Pain Freeze is an all-natural supplement with Menthol and Organic Camphor in it for a full, therapeutic cold therapy. of 1oz. (50mg) and 4oz. (200mg) options. For those looking for immediate relief to your pain symptoms, we recommend trying our CBD-enriched deep penetrating pain freeze. Our ingredients consist of pure CBD, menthol USP Natural 4%, Camphor oil, Aloe Vera Extract, Arnica Montana Extract, Carbomer, FD&C Blue 1FC & Yellow 10, ILex Paraguanensis Leaf Extractlsopropyl Alcohol, Methylparaben, Tea Trea Oil, Tocopheryl Acetate (Vitamin E) and Trietha. Apply to small areas like the neck and shoulders or massage into large muscle groups for full body relief. Rub a thin layer on the affected area no more than 4 times per day. 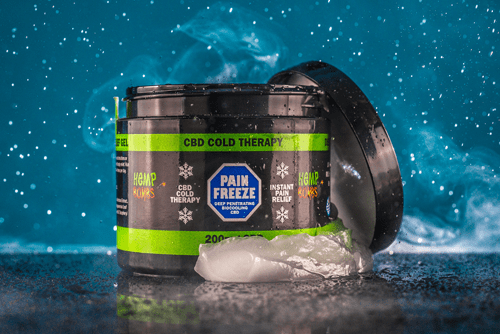 What are the Benefits of Using Hemp Bombs CBD Pain Freeze? CBD Pain Freeze benefits range from treating the pain of sunburn to helping serious arthritis. 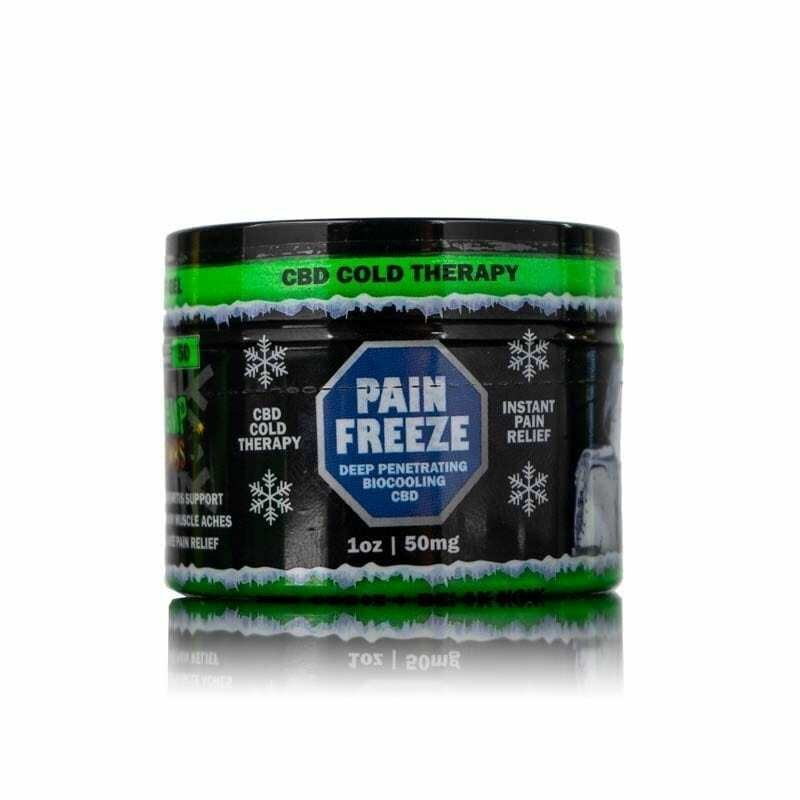 Our CBD Pain Freeze is used to help relieve a targeted pain, i.e. patients with shoulder pain can rub CBD cream on the affected area. The CBD in the topical combines with the CB2 receptors in our skin, meaning it does not reach the bloodstream. By rubbing CBD Pain Freeze on joints, it may help with inflammation and pain relief. The deep penetrating bio-cooling CBD may help sooth any swelling of the joints and allows for better flexibility. Did you find this article helpful? Share it with someone you love and feel free to purchase some Hemp Bombs CBD Oils for yourself! 0nset 30 seconds. Duration 6 hours. A godsend for my arthritic knee.